After a shaky few months, All Tomorrow’s Parties have reconfirmed their intentions to return to Iceland next year. Their impressive first lineup was headed up by Belle and Sebastian, and organisers have now added Godspeed You! Black Emperor, Run The Jewels and Deafheaven, among others, to their 2015 event. The festival will be heading back to former NATO base Ásbrú, in Keflavík (pictured above), just outside Reykjavik. Ásbrú dates back to 1941, operating during WWII, and was last used by US military personnel in 2006. 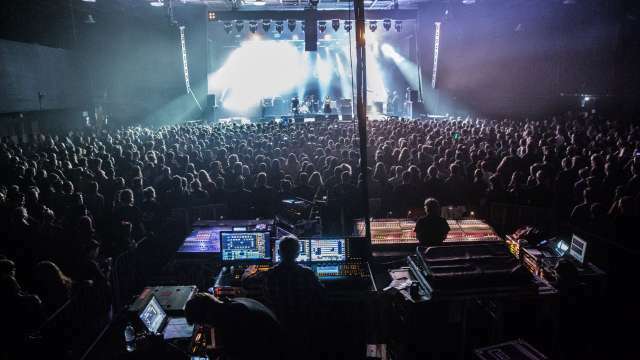 Now the base’s storied history will include performances from American grunge vets Mudhoney, current Danish buzz-band Iceage, Loop and more for the third edition of ATP Iceland festival. If you’re thinking of heading over to ATP Iceland 2015, accommodation details will be announced in early December along with more acts and festival deets. ATP Iceland 2015 is a three-day event happening from 2nd-4th of July. Check out the current lineup below.